Often the reporting suites in ERP systems are difficult to modify, and do not always show you the information that you need or want to see. That is why Business Intelligence (BI) reporting tools are very popular; you may also have a reporting add-on to your ERP system but do not have the skills internally to create the reports you need. Invigorate IT have a combined experience of over 30 years to help you identify and implement the most effective reporting mechanisms for your business. Our consultants will work with your key users to identify the suite of reports that you are currently not getting from your ERP system and configure these reports for you. For more information on the types of BI reports that we can create please contact us. Mike Brown, Director MJB Dynamics Ltd. I worked with Mike at Sage Construction for around 18 months, while both of us moved within different roles at the company. 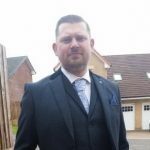 Working alongside Mike as a Consultant he showed great technical and process skills, understanding the customer's requirements and then being able to put that down into technical specifications to be developed. When Mike became Product Manager for Oil and Gas, I became Support Manager for EVision so our paths crossed within these roles. Mike continued to show his expert knowledge of Navision, and of the Oil and Gas sector, providing clear road-maps for the product and delivering functionality and processes to fit the needs of the customer. On a personal note, Mike is very easy to get along with and is a great team player, always willing to share ideas and experience, and help colleagues where possible to achieve their goals.